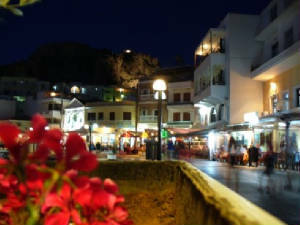 Karpathos has many attractions to visit while you are enjoying your stay with us. We will be adding beautiful beaches, relaxing restaurants with excellent authentic Greek cuisine, and other points of interest as time goes along. Please check back on this page often! 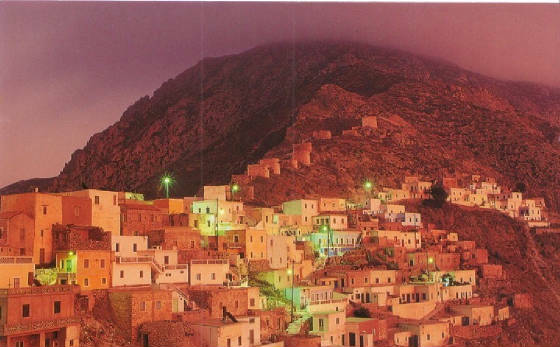 Pigadia is the main town of the Island of Karpathos. There are a variety of restaurants, small shops, and supermarkets open at various times throughout the day and evening. During the tourist season there are all kinds of activities both day and night. 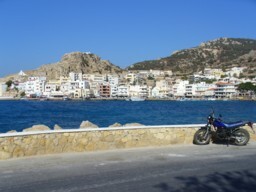 At Pigadia you may rent motor bikes and cars to drive around the island. 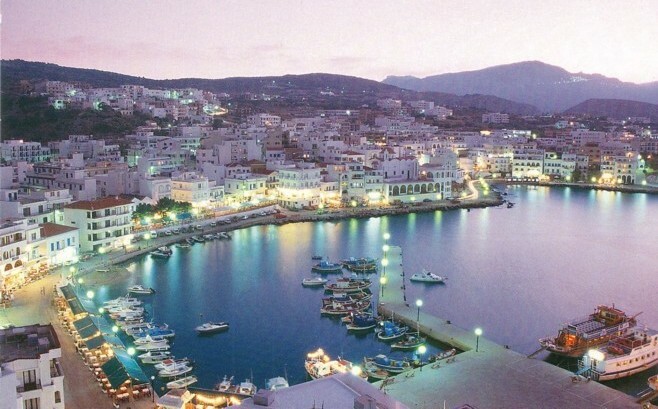 From here you can also take ferry boats to cruise to other parts of the island. There are internet cafes available if you feel the need to keep in touch with the outside world ! 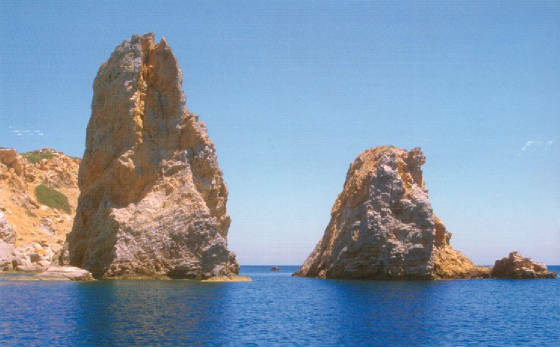 Rock formations at the north end of Karpathos Island. There is no restaurant here but it is great for picnics, camping, swimming and hanging out with your friends or family ! There is a boat that will bring you here in the morning and pick you back up later in the day to return to town. Historic town where citizens live in the old ways and culture. To visit the quaint and traditional island town of Olympos, with its traditional windmills and Karpathian pastries called macaroons, you may use the ferry boat that leaves from the harbor of Pigadia at 9:30 a.m. and arrives at Diafani where you will take the shuttle bus to Olympos. The ferry boat returns to Pigadia at 6:30 p.m. This beach is named after the Virgin Mary. Rather than pebbles, it is a beautiful sandy beach. Tourists and native Karpathians alike enjoy this beach since it is close to Pigadia. There is a rock here that is safe and good for diving into the sea if you want to try something different. The water here is fairly deep so you do want to be careful. 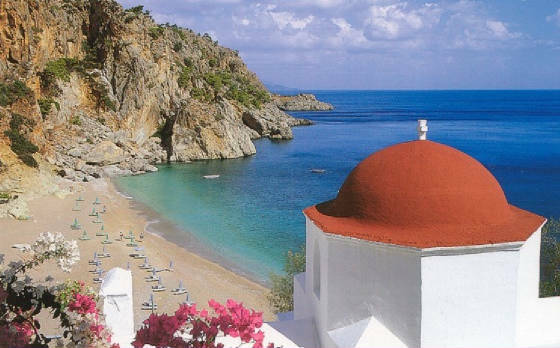 Kira Panagia has a couple of restaurants and hotels if you prefer to stay on the beach rather than in the main town. 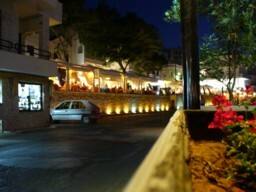 At Finiki, you can have great fresh fish, nice Greek wine, and appetizers ! Relax, enjoy, you will love it ! 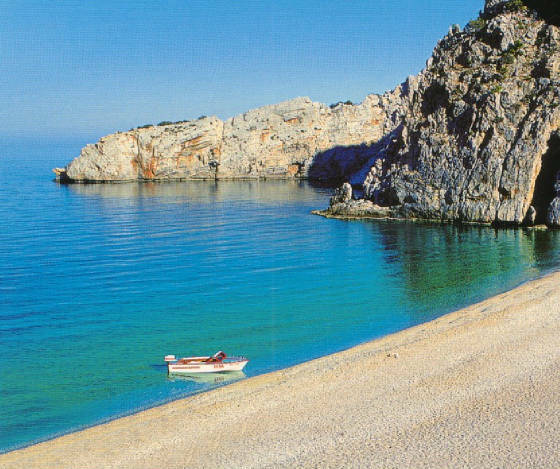 This wonderful beach is located just down the road from Lakki. The shore goes from sandy to rocky so you can choose which kind of beach you would like to go to. Sunbeds and beach umbrellas are available. On the main beach there are several restaurants. Click Here to See More of Amopi Beach. Afiartis beach at the southern portion of Karpathos Island is THE place to go if you are interested in wind surfing ! You can bring your own board or rent one at the beach. But there are also good beaches for sunning and swimming in the area as well. There are a few little "tavernas" in the area also if you get thirsty or hungry ! 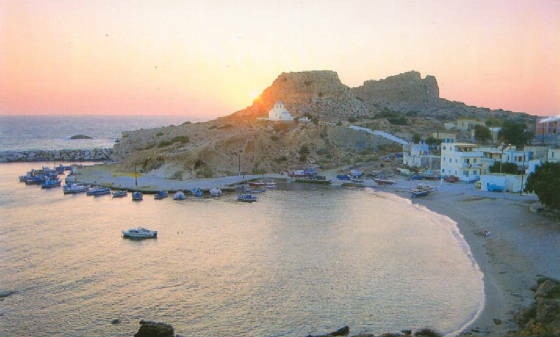 Karpathos is the perfect place to indulge yourself in your wind surfing hobby ! 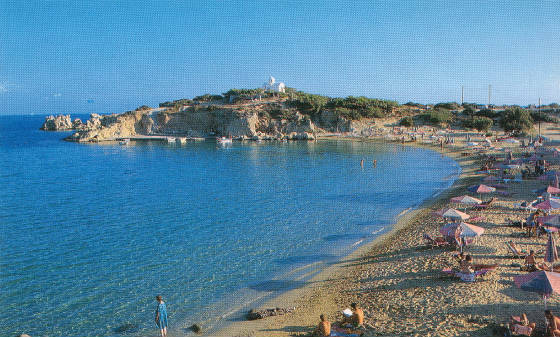 AXata (Achata) is a nice little beach with small pebbles on the shore instead of sand. There is a pleasant little restaurant with good appetizers. Rent and ride a nice motorbike to the natural harbor. Take a cool nighttime walk down beside the natural harbor or to one of our fine restaurants. Enjoy a cool evening stroll !